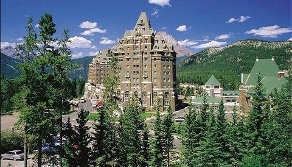 Summer in the Canadian Rockies offers a wide variety of activities. Select from the categories below. Reserve your tour early to ensure your date of choice and avoid disappointment. Visit icons of the Canadian Rockies and learn the rich human and natural history of the Rocky Mountains. 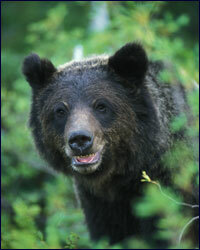 Big and small, wildlife is abundent here and these tours will give you the best chance to see them. 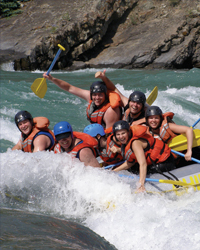 Whitewater rafting on the Kananaskis River, Horseshoe Canyon, or the exciting Kicking Horse. Hike on classic trails near Banff and Lake Louise and walk the path of pioneers and trailblazers from an era gone by. The Rocky Mountains were tamed on Horseback. Today you can live the lore of the west on trail rides in the Banff area. Experience a totally Canadian experience right from downtown Banff. Explore the wetlands of Vermillion lakes or journey up the majestic Bow River. All equipment is included. The ultimate hiking tour designed for people of any experience level. This tour will see you climbing, crawling and squeezing through the infamous Rat’s Nest Cave. The best way to rent bikes in Banff. Daily, scheduled transportation between Calgary International Airport to Banff and Canmore and return.